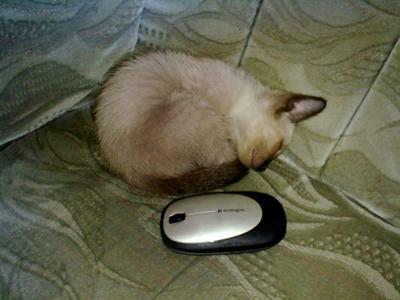 Siamese cat photos and stories - why not share yours? As you explore this website you'll discover lots of Siamese cat photos, descriptions and pictures that I've put together all about Siamese cats and their 'cousins' - the related breeds. Why not share your own photos and stories? 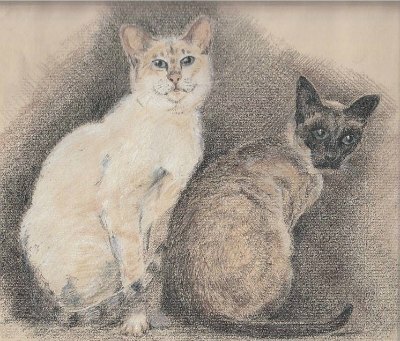 How about making a beautiful page about the special Siamese cats in your life? Or browse through some of the 200+ contributions we've had from other visitors like you. We're in the process of re-arranging this section of the website, so the story submission software is temporarily unavailable. We'll re-open again soon. If you'd like to submit a story please check back from time to time. In the meantime we hope you enjoy the stories from others below. We're a thriving community on Facebook, too. If you've got a question or you'd just like to share a quick photo, click the Like button below, then follow this link to join us. Jazzmin - newest member of the family! 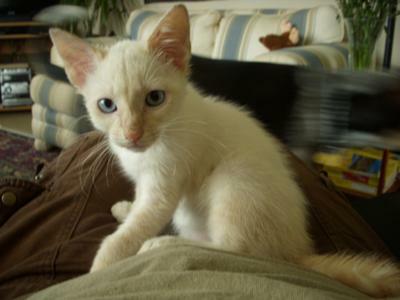 Lovely Lilac Balinese: Best Mother's Day Gift Ever! Cat eye problems - and what kind of cat is Neo?